We’ve already written several Cliscep blogposts on the nasty error-filled smear paper by Harvey et al, attacking Susan Crockford. The paper should have been retracted immediately, since it violates the OUP ethics policy, but neither the journal editors nor OUP seem to have any regard for ethics, so this didn’t happen, despite Crockford’s detailed letter. 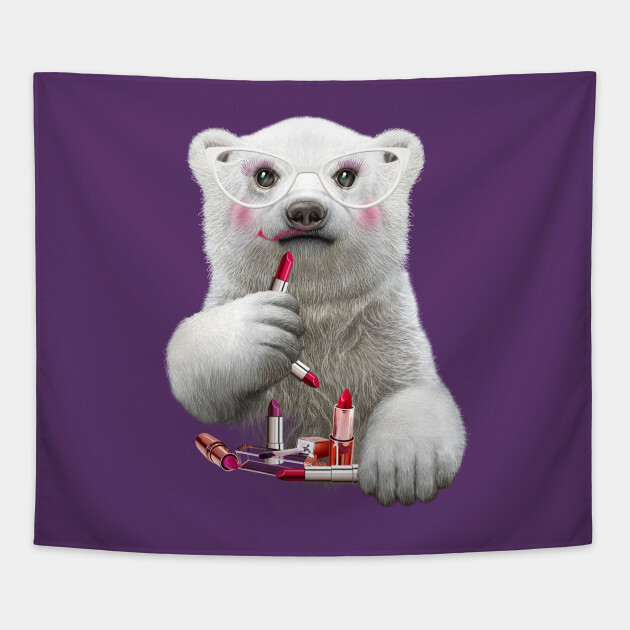 Now, Anand Rajan and Richard Tol have written a comment about it, “Lipstick on a bear…”, uploaded it to a preprint server called EarthArXiv and submitted it to the OUP journal Bioscience that unwisely published Harvey et al. In sum, Harvey et al. (2017) play a statistical game of smoke and mirrors. They validate their data, collected by an unclear process, by comparing it to data of unknown provenance. They artificially inflate the dimensionality of their data only to reduce that dimensionality using a principal component analysis. They pretend their results are two dimensional where there is only one dimension. They suggest that there are many nuanced positions where there are only a few stark ones – at least, in their data. On a topic as complex as this, there are of course many nuanced positions; the jitter applied conceals the poor quality of Harvey’s data and obscures the underlying perspectival homogeneity from self-selection. They show that there is disagreement on the vulnerability of polar bears to climate change, but offer no new evidence who is right or wrong – apart from a fallacious argument from authority, with a “majority view” taken from an unrepresentative sample. Once the substandard statistical application to poor data is removed, what remains is a thinly veiled attempt at a colleague’s reputation. Tags: Crockford, polar bears, science. Bookmark the permalink. Science by keyword search always seems to end in tears. Will OUP take any notice of their published paper being comprehensively rubbished? We know the Polar 14 are retreating into their shells., If the comment is published, does that make Richard and Anand polar bear researchers? If it isn’t, will it be just another tree falling in a dying forest? If it is published, how many of the 14 will continue to list it in their CV and publication record? It has certainly put Richard higher up the totem than Len. Will Len have to come up with a new line of attack? On which side of the ledger will it fall for Lew’s next paper or will they have to admit to more contrarian papers out there? How will they phrase the next smear job? These are just so many imponderables in the consensus soap opera that we will all have to contend with as the sands in the days of our lies tick by. I’m skeptical that this note will be published by BioScience. The original paper and the low quality of the author’s meager responses to criticism is a sad commentary on what’s wrong with modern science. There is a virus of ethically compromised scientists infecting the organism of science which seems unable to rid itself of the disease. Well I hope this does some good but these days people don’t read even serious papers like this through with a critical eye before going public with them? Surely it was intended to end: ‘thinly veiled attack on a colleague’s reputation’. ‘attempt at a colleague’s reputation’ is obviously wrong. Perhaps I’m hopelessly old fashioned but I was taught that getting details like this right made it more likely that what you wrote would be taken seriously. Maybe you don’t need that help if you are a professor! It’s a shame to spoil the concluding punchline though. In this case I think predictive text is to blame, but why not read it through!? I see see I didn’t read this through properly either but then I wasn’t writing a paper. Please forgive this non-native speaker. Has Mann ever accepted any criticism of any paper he has authored? You did fine. The rational thinking and common decency that you have is in stark contrast to that of the Crockford hit piece. I would support Hunter. Despite what Kestrel says, the turn of phrase Richard uses doesn’t have any real impact on the paper. Working in an industry where a significant number of the workforce didn’t have English as a first language, I realise just how hard it must be for them to get the technical mastery of the grammar – not that we are any better. That seems to be why a lot still use very formal English (albeit incorrectly) because they can’t cope with the idiomatic stuff and pedants criticizing them. I’m sorry Richard; It would probably have been better to let it go. If you don’t have a tame idiomatic English speaker to read things through I would be happy to oblige though with my now ancient education I’m not quite sure that I qualify any more! Hunter is entirely right to praise the clear reasoning and decency in the substance of the paper which is much more important. Kestrel, it’s not that he doesn’t know, it’s that mistakes, grammatical or otherwise, get entrapped in text. Pre-prints call on the wisdom of crowds. Two typos have been spotted, and one wrong preposition. Marco thinks he spotted a fatal error in the data, but he is Marco. Only just read this Richard. Well done. Good to see the typos corrected and Kestrel27 in the acknowledgements! Retraction Watch are on to the story, so it might be nice to comment there.